Audi has re-confirmed that its all-electric SUV is on track for introduction in 2018. Not only that, but Audi assures with the production version of e-tron quattro concept, that the EV will be "the first real premium manufacturer doing a premium electric SUV", that is, despite other entries arriving in the premium SUV space in 2018 (such as all-electric Jaguar I-Pace) scheduled for 2018. To say nothing of the already on the market, all-electric Tesla Model X, although one can debate whether or not its fit and finish qualifies it for the premium segment - its performance certainly does. 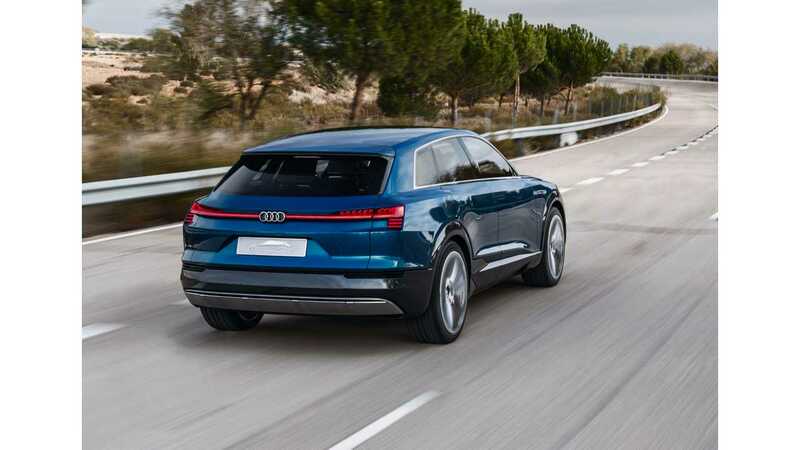 The timing of the long range SUV is about perfect according to Audi, as between today and 2018 there will be a lot of new fast charging infrastructure projects to support the vehicle. The size of the EV is slot to be between the Q5 and Q7, but not that it will carry the Q6 badge (which seems to be reserved for a separate model). 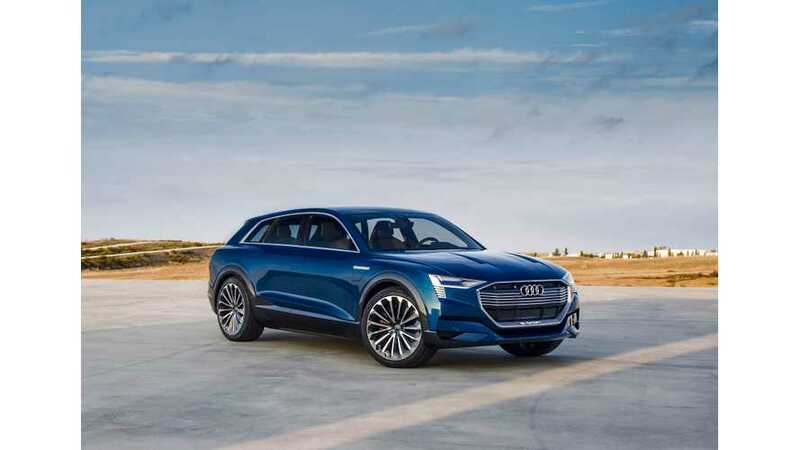 Interesting news is that the Audi SUV to share some solutions with upcoming Porsche Mission E. Voggenreiter "confirmed that the e-tron will be built on a development of the electrified platform Porsche is using for its Mission E electric saloon." The range to be 500 km (311 miles) under a undisclosed test cycle (the concept was equipped with a 95 kWh battery), but assume it is the Euro/NEDC scale, which would translate to around 400km/250 miles of real world driving.